Transformation of rural society, regeneration and valorization of services provided by nature. 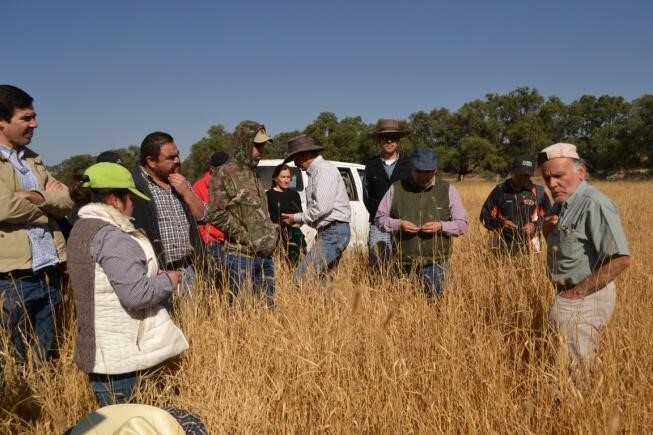 The State Carbon Offset Mechanism in the state of Querétaro incorporates subnational financing via small carbon taxes, a local and contextualized protocol that is adapted to landowners, and the use of regenerative tools in soil and forest management. The result is the recovery of forest health and landcover. 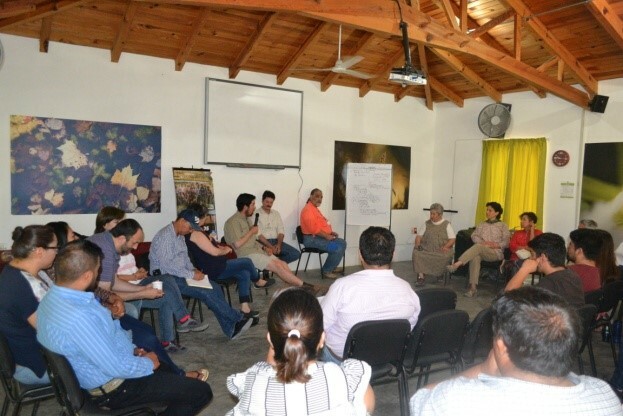 Three years ago, we began to the process of transferring this initiative to other subnational governments by organizing workshops, training technicians and producers in regenerative management, defining areas of operation, and analyzing innovative financing options. As a result, we are triggering transformational change in the agricultural and forestry sectors and helping to recover forest health and landcover. This, in turn, ensures the protection of biodiversity, increases ecosystem services, and enables natural regeneration. This public policy has been validated by the Initiative for Climate Transparency (ICAT) and is, in fact, an early adopter of ICAT’s protocols. Reserva de la Biosfera Sierra Gorda, Jalpan de Serra, Querétaro, Mexico | 7 states in México: Querétaro, Guanajuato, San Luis Potosí, Chihuahua, Coahuila, Nuevo León, and Sonora. Environmental: In Mexico, practices that cause forest and soil degradation, such as unmanaged cattle grazing, significantly decrease carbon stocks and biodiversity. Yet these traditional agricultural practices are perpetuated and incentives for transitioning to regenerative planned grazing are nonexistent. Many states in Mexico are developing climate-change mitigation and adaptation plans and strategies. These plans do not include grazing land management because of a lack of awareness of its potential carbon benefits. Economic: There is a need for additional investment for water management infrastructure, equipment such as electric fencing, and labor. Social: Because biodiversity and natural capital has no economic value to landowners, it is at serious risk of degradation from uncontrolled grazing, clandestine logging, forest fires, etc. Moreover, obsolete public policies subsidize unprofitable and damaging livestock grazing in forests. 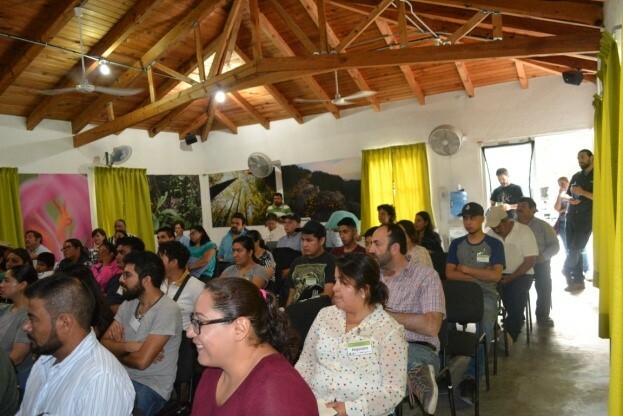 Beneficiaries include communities that own the land in the Sierra Gorda Biosphere Reserve, agricultural producers, forest owners, community tour operators, local authorities, teachers, parents, women’s groups, youth, and children. The State Carbon Offset Mechanism, contextualized under a local protocol. Knowledge transfer in regenerative soil management. First, we introduce and promote our strategy to state governments in Mexico. We follow with technical workshops in which we train state officials, adopting the strategy to each state’s unique context and priorities. We also work to align public policies and analyze legislative possibilities for implementation. We train educators in regenerative management with the Holistic Management Diploma course in partnership with the Savory Institute, and organize national forums, workshops, and meetings where participants share experiences. We focus on strengthening key actors such as civil society organizations. We establish carbon monitoring systems in forests and soils under management and train participants in adopting ICAT Guidelines to ensure the approval of the initiative and to achieve more ambitious goals as part of the NDCs. As a successful example of a project developed by the MIF using global funds, the Inter-American Development Bank is also seeking to replicate this NAMA. Finally, we are collaborating with the next administration of SEMARNAT to implement this initiative at the federal level. Planned grazing, a conditional measure of Mexico’s NDCs, has an annual mitigation potential of 5.6 MtCO2e by 2030 according to the National Institute of Ecology and Climate Change (INECC). This NAMA Support Project (NSP) is an opportunity to implement planned grazing—a conditional, nationally identified mitigation measure—projected to regenerate approximately 788,000 ha and achieve a cumulative mitigation of 7.2 MtCO2e over 5 years. The NSP will also contribute to Mexico’s NDC climate-change adaptation goals of water management and diversification of sustainable agriculture. The forest restoration component of the NSP is preliminarily projected to restore 338,000 ha and achieve a cumulative mitigation of 2.47 MtCO2e over 5 years. It contributes to Mexico NDC adaptation goals of conservation and restoration of ecosystems to increase ecological connectivity of natural protected areas. By quantitatively and financially valuing natural resources, the NSP provides capital to rural communities that own sanctuaries of biodiversity yet live in extreme poverty. In this way, it provides benefits for the population while regenerating and conserving forests and wildlife. We are transforming a directionless society squandering its natural resources into a society that provides ecosystem services, regenerates soils and forests, and increases carbon and water capture in forests. Thirty years have passed in the blink of an eye, yet the heart of Grupo Ecológico Sierra Gorda IAP (GESGIAP) continues to be tied to the Sierra Gorda. This sacred heritage of Mexico is a tapestry of biodiversity; its eternal legacy is astounding, and we feel compelled to protect its vitality. Climate change and human voracity has brought this fragile biosphere to the point of exhaustion. We are ashamed of the way that we endanger the survival of species that coexist on this planet with us. Who gave us permission to abuse and sell unrecoverable natural infrastructure? Humanity must act now. We must become ecological citizens, implement local solutions, and influence our communities to change in order to release the pressure we have placed on Earth, this divine work of art. With dedication and passion, GESGIAP is building a movement of love for the planet, a movement that translates into action across all levels, from the international to the personal. environmental education and reforestation. Over time, these projects have achieved national and international recognition. Today, GESGIAP focuses on public policies and income diversification in the region through ecotourism, artisan workshops, and trainings. It develops ways to monetize environmental services and natural infrastructure in order to provide economic compensation to landowners practicing conservation. In this way GESGIAP is consolidating a conservation economy that harmonizes biodiversity conservation with local economic development. We share best practices with forest owners, farmers, and state governments through training and technical assistance. We help people living in extreme poverty access financial resources by monetizing environmental services. We work to recover soil productivity and create carbon dioxide and water sinks throughout the Sierra Gorda. Because of our work, experienced farmers across Mexico now practice planned grazing. We also manage a network of private nature reserves that are a refuge for threatened species such as jaguars. By alleviating human pressure on wildlife habitats, we are able to protect the wild essence of the Sierra Gorda mountains. We operate across seven states in Mexico, building relationships and seizing every opportunity. This collective response allows us to build community resilience and together, face the forthcoming climate emergency. 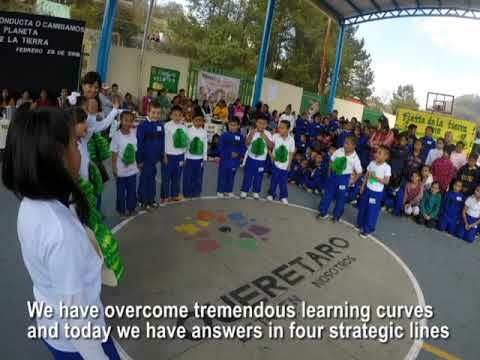 SEDESU (Secretariat of Sustainable Development of the Querétaro state government).